Pioneering ex-BBC television crews responsible for bringing colour into our homes in the late 1960s will bring TV history to life in the foyer of the National Science and Media Museum in Bradford later this month (November 23-24). ADAPT LIVE, part of the Being Human festival, will reunite veteran TV crews to demonstrate the skills that brought us some of Britain’s earliest colour TV shows. 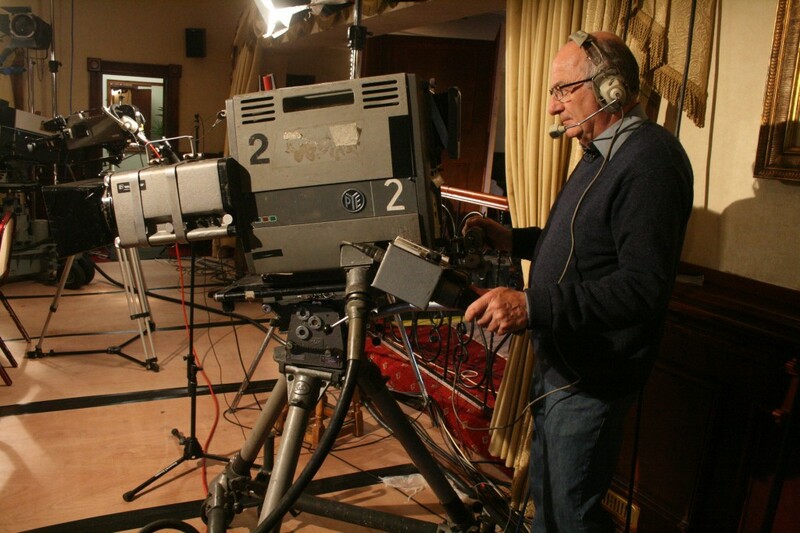 During ADAPT LIVE, participants – all of them former television producers and technicians who worked on BBC outside broadcasts during the 1960s and 1970s – will share stories, host live demonstrations and screen footage to share how television used to be made. 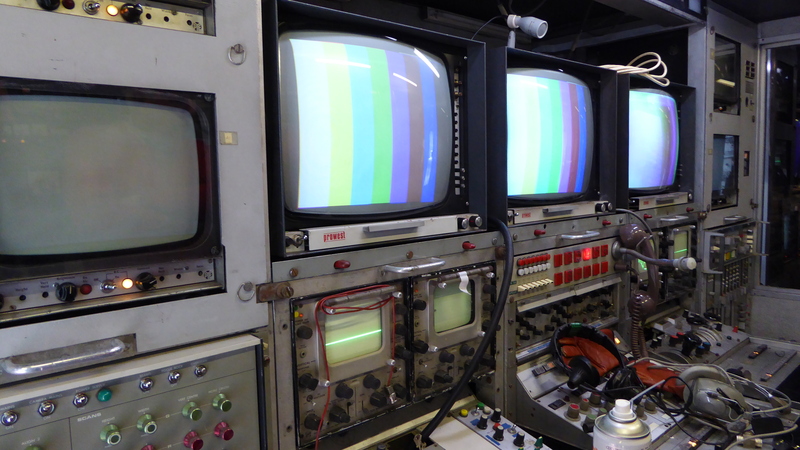 The event will include a rare opportunity to see working demonstrations of historic television camera, including the iconic Pye PC80 and EMI 2001, which were among the earliest colour cameras regularly used in the UK. Live outside broadcast with original kit from late 1960s/early 1970s. ADAPT footage screening and live Q&A with experienced directors, cameramen, sound and lighting engineers. Memory Booth – Your opportunity to tell us about your memories of 1970s TV and your thoughts about the ADAPT project. The talents of early day pioneers are not always recognised or celebrated, and this is arguably the case of the early TV engineers and crew responsible for bringing the first colour programmes to our TV screens back in the late 60s. A young David Attenborough as Controller of BBC2 in the mid-60s was determined to beat the Germans in the race to fully launch colour television, so he ambitiously promised a colour service starting with Wimbledon on 1st July 1967. It was a great success and history was made even though there were, in fact, only 4 colour cameras in operation at the time! 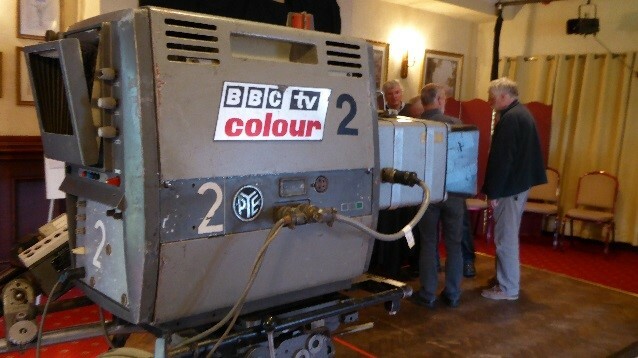 Given that most homes still only had black and white television sets, these cameras had to be able to broadcast in black and white as well as in colour. This all presented a considerable technical challenge for the engineers and cameramen of the day! 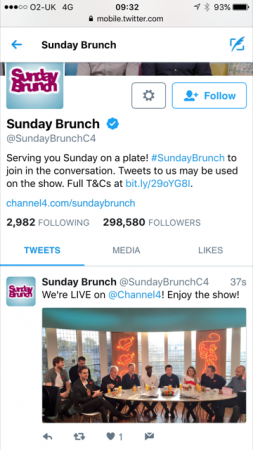 ADAPT sets out to better understand television technology and the processes by which it was made in the past. 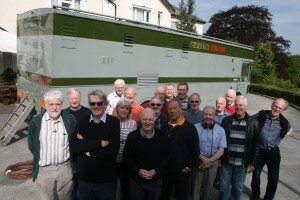 So, in 2016/7 we reunited some of the original cameramen from that historic Wimbledon event, along with other ex-BBC crew from those early heroic years, with much of the original kit, including two of the first- generation colour cameras and a semi-restored ex-BBC outside broadcast truck known as North 3, all from the late 1960s. The veteran crew, made up of 18 men (and one woman) rather miraculously recreated a live outside sports broadcast to show us how it was done in those early pioneering days. Their efforts were filmed and are currently being edited. All of this footage will all be made available online (for free), with highlights being released on the BBC History website for the first time to coincide with the BBC’s 50th anniversary of a regular colour service. It was an ambitious mission to say the least, gathering a full line up of mostly retired outside broadcast crew with the expectation that some, if not all, might actually remember the kit they habitually used 30-40 years ago, and more importantly, would ideally make it all work again! It transpired that the real challenge was locating predominantly obsolete kit from dusty lockups, cubby holes and the fierce clutches of collectors, with the faint hope that it might just be made operational. We knew this venture was ambitious at best – and many ex-crew initially thought we were insane! 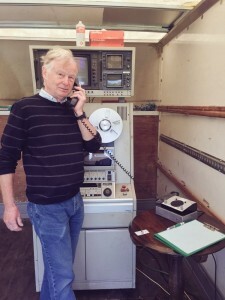 Our first real glimmer of hope appeared with Steve Harris, collector and owner of the lovingly restored ex-BBC outside Broadcast truck North 3 unit. Luckily, he was up for the challenge! What followed was several months of hard toil as Steve and his team with their trusty soldering irons working tirelessly around the clock, along with a fair few roped in ex-BBC engineers who traversed the country to help out. Each of them was committed to rejuvenating ancient machinery- like an old one inch Videotape recorder, and two first generation colour cameras: an EMI 2001 and a Pye PC80, along with all the associated cabling, connectors, sound kit and monitors. One engineering crisis followed as brief signs of life in one piece of kit would quickly be followed by another part dying. By the end, the team deserved medals for sheer determination and patience. When North 3 finally pulled into the filming location in Wales, it was to an uproar of cheers from the veterans who only half believed it would actually make it! To our surprise, the crew then revealed they each still had a master key in their possession, that allowed them to enter any BBC outside broadcast truck-including North 3! Seeing the joy on their faces when they actually stepped back inside was priceless! As they re-familiarised themselves with the craft of their past, we filmed and witnessed these incredible pioneers quickly fall back into role. They seemed to dig deep and use every engineering trick in the book replacing boards on the old cameras, supplemented connectors, rigging up a temporary talkback and all the while fixing faults on old hefty G101 cables. Toughest of all, they were faced with driving two different types of first generation colour tube cameras, both around 50 years old. One favoured the London EMI 2001, and the other, the northern workhorse Pye PC80. It took every ounce of ingenuity to get these behemoths up and running, and perhaps the greatest challenge of all came during the complex task of lining them up. For the vision engineers and cameramen, this process brought back painful memories of the many difficult hours spent during those first years of colour. With new red, green and blue tubes added to cameras, the cameramen and vision engineers needed to work in tight teams to perfectly align the tubes to achieve pictures with the right colour balance. The process took up to two hours per camera, and with at least four cameras at most outside broadcast events, this was a time-consuming job! 38 years since he had seen the EMI 2001, cameraman Robin Sutherland took a while to find the correct dials, but with the help of vision supervisor John Coupe, finally got there. Meanwhile, the veteran sound crew were making half-century old microphones work so as to record a commentator and two darts players, plus the all-important sound of a dart hitting a board. They were also lining up title music to play in live, while director Geoff Wilson focused on familiarizing himself with a bank of monitors and mixers so he could not only direct cameras but live mix the match too! With all 18 veterans working as a tight knit team, driven by their professionalism and sheer determination to pull off the mission, it made for a mesmerising watch. And proof indeed that proper training in television pays! After just 24 hours together, it was as if the years rolled back to the late 60s. Director Geoff Wilson’s ‘Stand-by’, ‘Roll VT’ and ‘Action’ created excitement and nostalgia in equal measure. Geoff successfully led his crew to record an astonishing 20-minute period-feel darts match complete with Letraset captions for the opening and end titles and credits. Both of the 50-year old cameras behaved and delivered pictures, though given that they have not worked since, it all felt rather miraculous! As this is a celebration of our pioneering crew and their incredible achievement, I’ll say less about our own technical challenges behind the scenes except to share a couple of points. Given the small spaces of the OB truck and with so many areas and veteran crew to cover, I decided to shoot the event as a fixed rig 14-camera shoot. In order to fully capture the approach, decisions and processes involved, we chose to record all crew activity from the moment of reunion with old kit, through rigging, rehearsing, and on to recording and finally reflections on it all. For Adapt, this inevitably resulted in an enormous amount of filmed footage, in fact 11 Terabytes worth (over 300 hours!) which we are still grappling with in the edit. Ironically, after just a couple of days back at the job following a 30 to 40-year hiatus, our veteran crew manage to achieve a 20-minute recording of a ready to broadcast live mixed show complete with titles and music! Perhaps we should have also turned over the task of our recording to the veteran crew, as no doubt they would have delivered the very same piece within a few days! Here’s to fabulous BBC training and to learning from such talented trailblazers! And to a wonderful 50th Wimbledon this year where I will have a much greater appreciation of the greenness of the grass and the feeling of closeness to the game colour brought us. This footage was recorded in May 2016 as part of the ADAPT project, which investigates the history of British television production technologies. 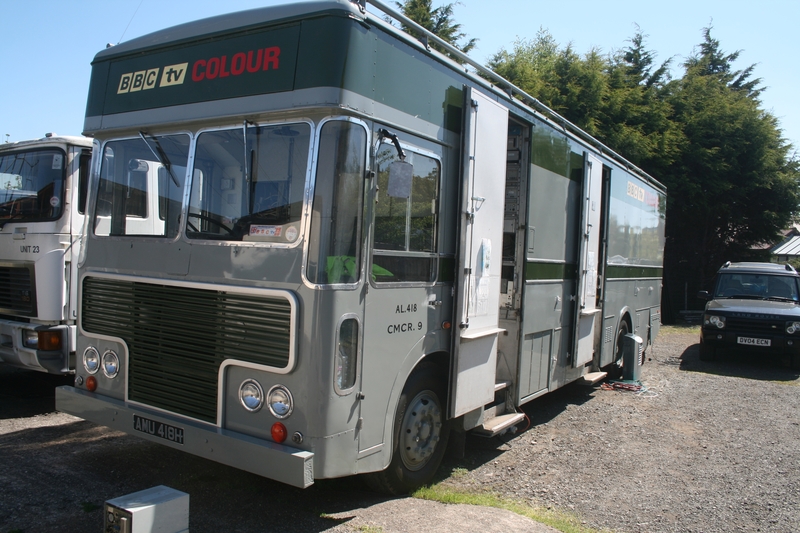 A veteran television crew was reunited with a restored outside broadcast truck originally commission by the BBC in the late 1960s. 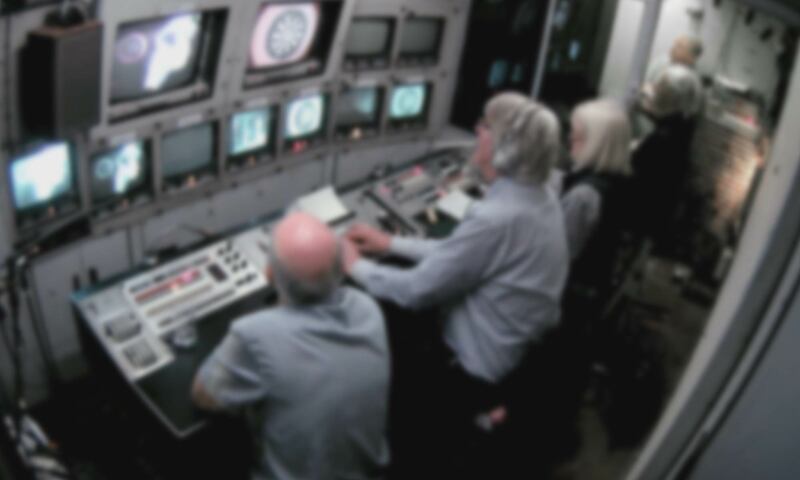 The crew used the restored cameras, microphones, and vision mixing desks to record a darts tournament in the style of a 1970s television production. 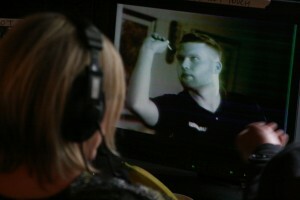 The event was recorded from multiple angles by a “fixed rig” of miniature video cameras. We seek proposals for a small number of original essays to include in Hands On History, an edited collection focusing on practical and embodied approaches to the history of media technology. We seek proposals for essays of between 5,500 and 6,500 words in length. They may be on Any subject which relates to “hands on” research or practice around the image-based media, broadly defined. The editors will be very happy to discuss and develop proposals in advance of submission. The collection is under contract with Routledge and will be delivered to the publisher in 2018. Please send enquiries or a short (approx. 200 words) proposal, along with a CV or resumé, to nick.hall@rhul.ac.uk no later than 10 July 2017. The deadline for submission of accepted proposals will be 13 November 2017. On 2nd November 1936 the BBC miraculously broadcast its first official television show live, an event that changed the world forever. In a documentary celebrating 80 years of television (Television’s Opening Night: How the Box was Born, BBC Four, November 2nd 2016), the producers ‘recreated’ that show in a mission that proved just as challenging and hair-raising as back in the day. In their attempt to restage the broadcast, two teams raced to represent both the mechanical ‘Flying Spot’ contraption built by Scottish engineer and inventor, John Logie Baird and Electronic Emitron cameras of this time. With no surviving camera from the era to lay their hands on the team embarked on the nigh impossible mission of rebuilding cameras themselves. The team led by Dr. Hugh Hunt, (Senior Lecturer in the Department of Engineering in Cambridge) and Danielle George (Professor in the School of Electrical and Electronic Engineering at the University of Manchester), had just over 6 weeks to the anniversary to come up with something that resembled the 1936 show complete with orchestra, contortionists, dancers and singers like Adele Dixon who opened the original show. Clearly they needed a feat of engineering to be able to record it in some sort of fashion that reflected the technological challenges of the day. The latter is something we on the Adapt project are familiar with! Our entire research project is centered on recreating television events of the past to understand something of the challenges, trials and tribulations behind the scenes that drove what ended up on screen. Rather than building our own versions of cameras and kit and running it ourselves, our particular project relies on locating and somehow reviving old (often obsolete) kit, and recruiting veteran TV crews to work it all, doing the exact job they once did over 30-40 years ago. So we pick up from around the 1960s when, after a fair bit of digging around, man and remnants of machine from the period, can actually still be found! As I sit here editing our vast amounts of footage from a fixed rig recreation of an early 1970s BBC outside broadcast, all those hairy moments feel very familiar! Images that rattle and shake, tubes that look like they may blow up at any minute, lights that could burn even from afar, searching for a location reminiscent of the period where you can actually get 50 kilo cameras in etc. 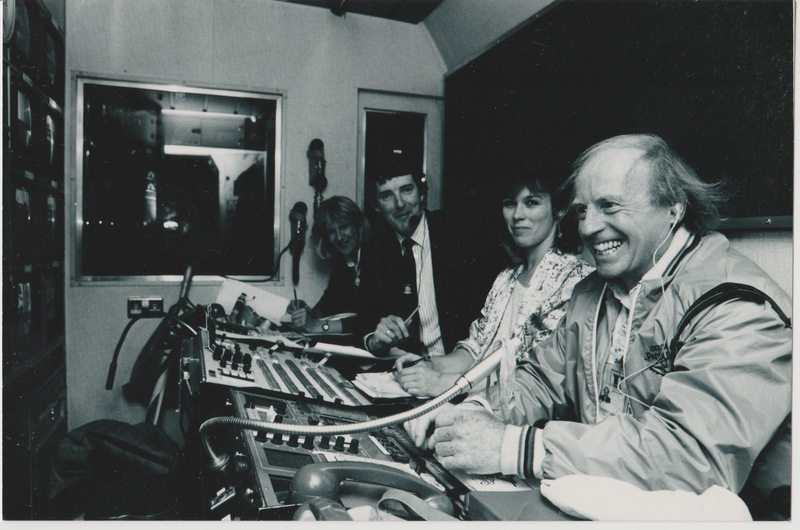 We didn’t quite have performing contortionists, though the 22 strong OB crew most in their 70s and 80s may argue that it felt that way when squeezed into the old Type 2 outside broadcast truck! We didn’t have a broadcast deadline to hit, but given the cost and the mission, we did create our own deadlines. Over the 3-day shoot we worked to a final day 3pm rehearsal and a 4pm ‘as live’ broadcast of our very entertaining (but very much of the day) 1970s-style darts tournament. This was all recorded on the hefty tube cameras –an EMI 2001 and Pye PC 80. The images are extraordinary! Where the BBC Four documentary had The Gadget Show presenter, Dallas Campbell standing in for Lesley Mitchell (the actor turned radio announcer who made history in November 1936), we at Adapt had darts commentator John Gwynne bringing to life the kind of sports OBs that were BBC bread and butter in the 70s. Our restored ‘North 3’ outside broadcast filmed Grandstand, Wimbledon, football, rugby, Open golf – all the live sport that was typical Saturday viewing in most homes in Britain. For us it was a toughly fought darts match between the Griffiths brothers, with our Letraset captions and caption camera recording the score. It was, of course, the engineers and technical crews who were the pioneers here; the real stars of the show, getting sound and image out of totally unpredictable, cumbersome and troublesome TV technology; building from scratch or adapting as they went, with soldering irons and 2ft-wide cables at the ready so it all looked smooth and trouble free as it transmitted live to audiences (the ‘lookers-in as they were once called). We owe so much to these guys (and they were sadly mostly men back then), as we now very much take for granted our 24/7 onslaught of digital imagery coming at us from every device. Thanks to BBC Four, the Logie Baird story and the tech race of the day that led to that very first broadcast in 1936 has been brilliantly shared. The documentary can be found on BBC iPlayer until 2nd December 2016 or Learning On Screen’s Box of Broadcasts (BoB). Read the full post at The Maintainers.